As I enter the end phase of my term as VOS president, I want to make all of our members aware of initiatives by the Society and the upcoming activities. 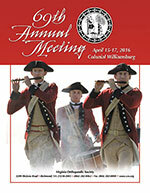 The program has been completed for our 69th Annual Meeting being held in Williamsburg, Virginia on April 15-17, 2016. View it here. 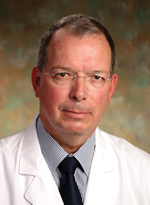 I would like to thank Brad Butkovich, MD and the Planning Committee for their hard work in making this a strong meeting with increased CME opportunities and a program that covers a broad spectrum of orthopaedic interests. We expect it will allow attendees to brush up on topics outside of their normal meeting profile. You will note the meeting has an ACP breakout session. I strongly encourage you to use this meeting as an opportunity to provide the ACPs you employ or work with to enhance their education access. Not only does the breakout provide ACP-specific information, but the program as a whole should be beneficial to them as well as tophysician attendees. In addition, we encourage each of you to support ACP membership in the Society. Our strength is in numbers – politically and economically – and we present a stronger voice when all of us involved in orthopaedic care speak together. I am sure each of you has become more aware of the ongoing activities relating to prescription drug misuse. This is an issue addressed from the local to national level. The VOS Board has been proactive in addressing this problem and has drafted a policy statement that we propose for consideration and adoption by the VOS membership. We feel that we must be leaders in responsible care of patients, including the appropriate prescription and use of narcotic medications. We welcome comment on this policy and will incorporate feedback into a final version that can be used as a policy/practice position for individual member use. It is impossible to adequately thank Dr. Steve Leibovic for his incredible contribution of time and expertise on the Workers' Comp medical cost legislation and Drs. Abbot Byrd, John Bowman, and Daniel Cavazos for their leadership in the ongoing COPN reform effort. It’s the donation of time and talent by leaders like these that make VOS Advocacy so valuable to our members. I look forward to seeing many of you in Williamsburg.